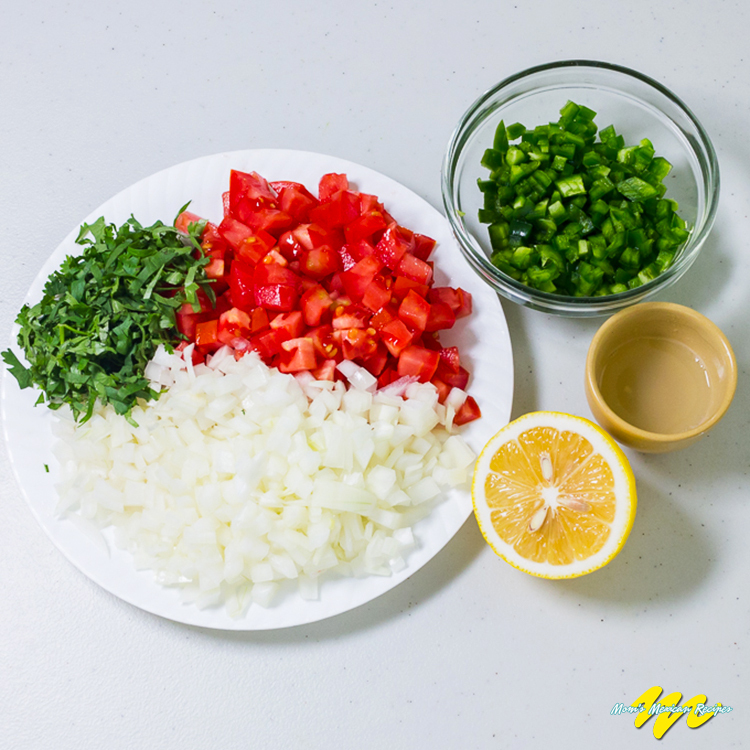 The Pico De Gallo recipe is an exquisite, healthful and aromatic blend of fresh ingredients.It tastes great as a topping on tacos, fajitas, nachos, burritos and hot dogs, not to mention its use as a perfect low-calorie dip for chips.Colorful in presentation, it is a favorite accompaniment for both formal and informal meal preparation.This recipe for salsa allows for individual innovation: ingredients can be added or removed in quantities according to taste. 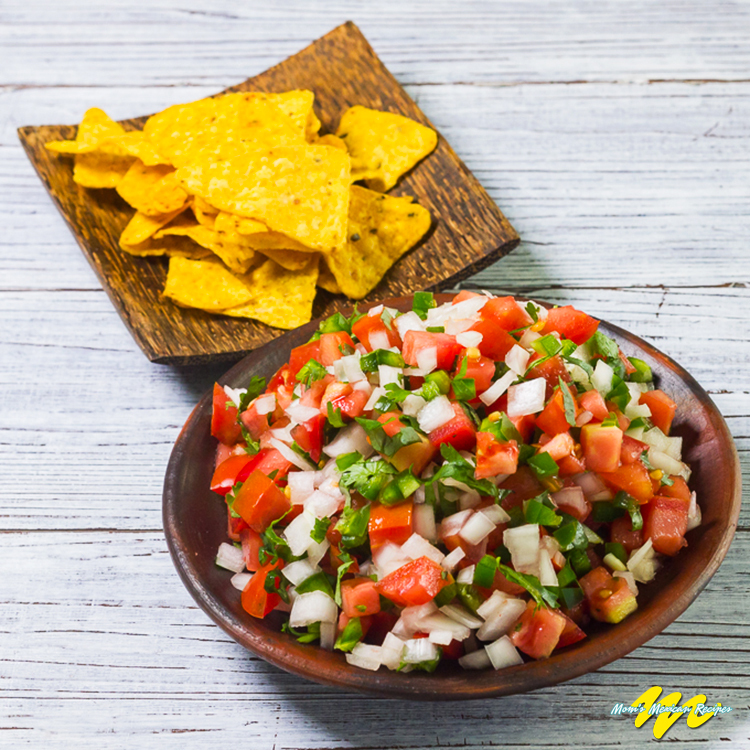 The Pico de Gallo recipe is a homemade salsa in the same category as red or green salsa since it is added for the same purpose and variety of foods.Pico de Gallo recipe, also known as raw salsa or fresh salsa, is at its best when it is prepared fresh and enjoyed on the same day. This enhances both the taste and the nutritional value of ingredients. In a medium bowl add lemon juice to onion. Allow to marinade for approx. 10 minutes. 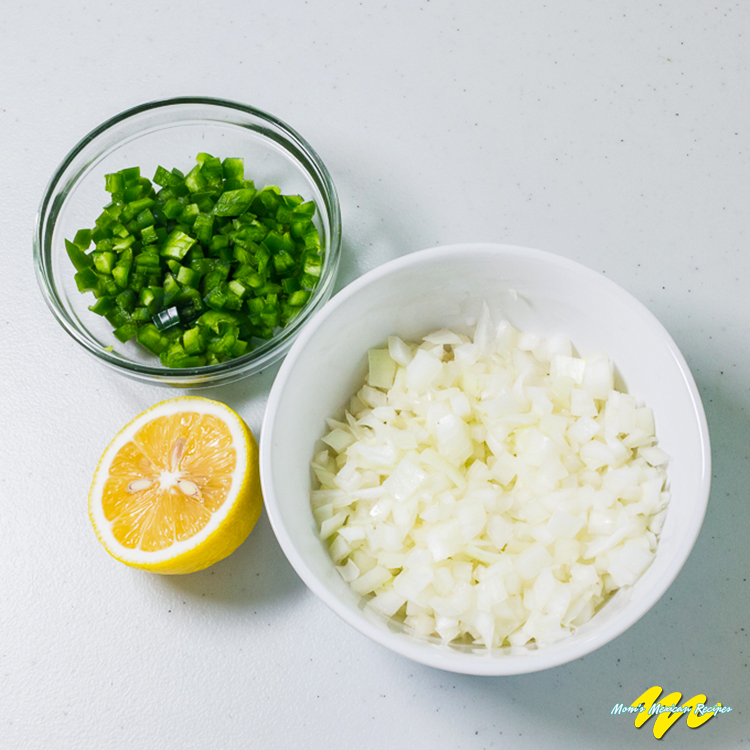 Add the rest of ingredients to the mixture and allow to marinade for an additional 15 minutes. Serve and enjoy as a salsa dip for chips or as condiment for main dishes. 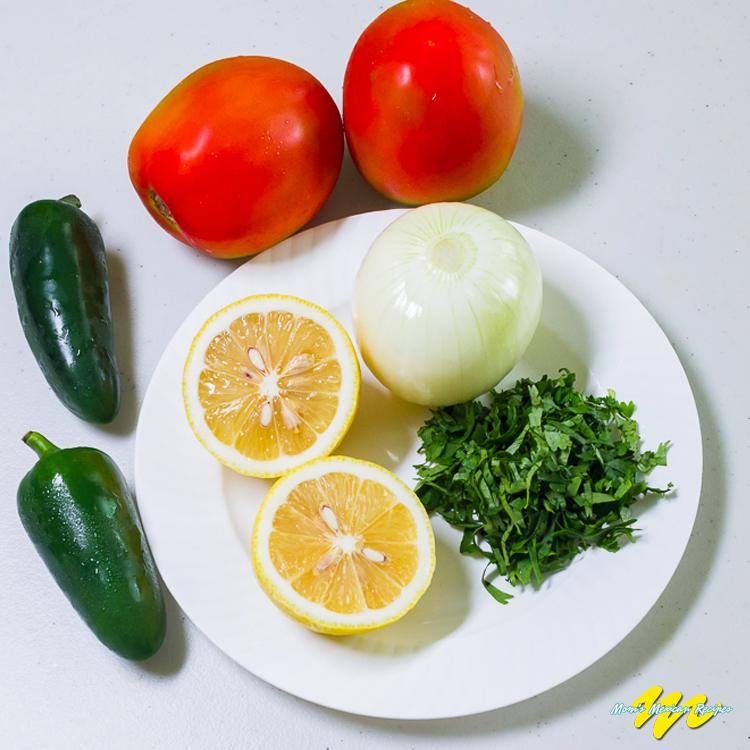 CAN YOU CONTROL HOW SPICY THIS FRESH SALSA RECIPE WILL BE? 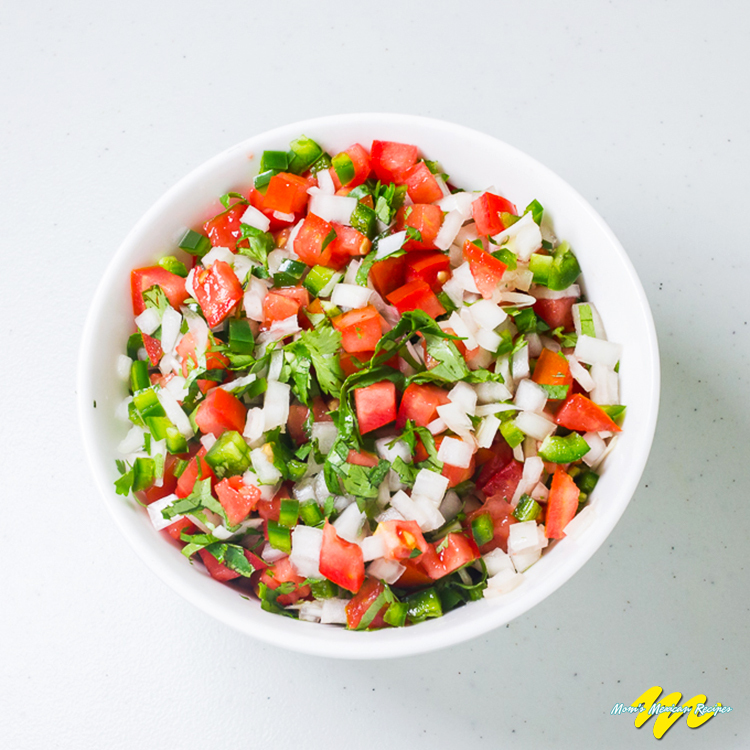 The Pico de Gallo can range from mild to very hot depending on the type of chili peppers and amount used.